EVE Online Collectible Battleship Models are coming! Ever since I first laid eyes on one of EVE's ship, I've wanted to have a scale model version of one. That was over 5 years ago, but today, there is a light at the end of the tunnel. Today, the EVE Online Store is being shutdown to make place for a new and improved store, and in the process, CCP will finally be introducing Collectible Battleship Models for each of the 4 races. I first came upon this story when Winterblink wrote a post about some model ship pictures popping up on the Chinese EVE website. Low and behold those rumors were true! Now, the question is, which one to get? Cause at $125 a piece, these things aren't cheap! Maybe that 15% discount CCP is offering before the end of September will be enough to tempt a few of us. Another episode of Titan Weekly, now on its new Thursday schedule. As usual, Malnor covers some FW news and adds his own commentary. This week he briefly looks at the Minmatar race and their ships, and also brings up some concerns about Alliances CEO leaving the game. I'll be joining Malnor next week in another Special CK edition! Make sure to drop by once you've listened to this ninth episode and let him know your thoughts. Fly safe, cause flying recklessly is darn dangerous! Well it seems that the EVE Online Blogging community is on a roll here as more and more capsuleers are putting pen to paper, or in this case, fingers to keyboards. I've never received so many request to add this blog and that blog to the list, and I'm all the more happy to do so. Old Dogs and New Tricks - One players love of the game called EVE Online. EVE Warrior Ship Reviews - A great and ever growing collection of ship reviews. The Endless Nerf Cycle - Winterblink on the constant changes brought to EVE by CCP. Prophecy Fulfilled - Some major events happening on the Alliance field. Cities of Refuge - A new EVE Chronicles. Revitalizing a Corporation - Morph's take on bringing back the corp mojo to life! Leipzig Interview - Walking, Empyrean and More - MMORPG.com reports on CCP and EVE at the Leipzig conference. Leipzig Interview on EVE Expansion and What Comes Next - A great video interview with EVE Associate Producer Arend Stuhrmann on what to expect next in EVE. EVE Evolved: Setting up your overview, part 2 - The second part of Nyphur's brilliant article on the EVE Overview (Part 1 linked here). Why Ambulation is going to make EVE huge! - Some, like me, are really looking forward to Ambulation! Pirate Blogs - Spectre puts together a list of Pirate Blogs. For those on the other side of the law! CCP Economist On EVE Online's 'Pure Capitalist' Market - An interesting article on the EVE Player run Market. EVE Online Industrialists will get their expansion too! I've been saying it for so long I can't remember when I first brought it up. Well, it seems that CCP were either listening to what I was saying (very unlikely) or they were already working on this very issue (much more likely). As reported by EVE Network News, and mentioned to me by two reliable sources, CCP will release a new expansion, codename MIDAS, that will see Industrialist finally get the attention they deserve and the goodies they need! This follows an earlier article at Gamasutra which briefly discussed the economic implications in a game like EVE. The "news bomb" was released during an interview with EVE Associate Producer Arend Stuhrmann, which can be seen in a video over at MMORG.com. Suffice to say that I am ecstatic to learn such great news. We know little so far. But knowing that something is brewing is excitement enough for one night! Anyone who's been playing EVE Online for a while will know that Jita, a major trading hub, is an area to avoid as much as possible. And that's even more so on Sundays which is typically "the" busiest day of the week for EVE capsuleers. Almost every Peak Concurrent Users Record has been established on a Sunday afternoon (EST). This is exactly what one capsuleer, Pot Shot, learned the hard way. So beware newbies, if you ever decide to visit Jita on a Saturday night, make sure to make a few jumps away from that system before you dock and call it quits for the night! Another interesting Space MMO is gearing up towards Beta. That's a second original IP Space Combat MMO to compete for the genre with EVE Online (SGO, SWG and STO aren't original IPs). And that's all the for the better if you ask me. There are some important game play differences between the 3, so there's a good chance that the game may cater to different sets of gamers, or fill two different sets of needs. We wish them both good luck! I found the above video here at Rock, Paper, Shotgun which is a great gaming site where I get a lot of my general gaming news these days. Thanks guys for the great work! keep it up! The two newest EVE podcasts, Titan Weekly and Fly Reckless, both published their 8th episode last night. As usual the shows are short and to the point, which is a strength. Once all 5 current podcasts start dishing new episodes, it would have be a bit crazy to have all of them produce one hour shows. So I'm glad the guys at TW and FR are sticking to their short format! Welcome, welcome to the 7th installment of Blog Banter, the monthly blogging extravaganza normally headed by bs angel , and for this issue by Terry Bosky of the Game Couch. Blog Banter involves our cozy community of enthusiastic gaming bloggers, a common topic, and a week to post articles pertaining to said topic. The results are quite entertaining and can range from deep insight to ROFLMAO. Any questions about Blog Banter should be directed here. Check out other Blog Banter articles at the bottom of this post! From CrazyKinux (that's me! ): Does every game need to be a grade-A blockbuster title? Would you be willing to play more average games or should every game shoot for the 10.0 rating? My quick and dirty answer to the first question would be no, give me quality over quantity any day of the week, and twice on Sunday. And these days, blockbuster does not necessarily mean a great gaming experience. Two things are most valuable to me, money (obviously), but most of all time! The former is easily explained. At $60 a game, I better enjoy what I give in exchange for my blood, sweat and tears. But it's the latter that's really at the heart of my answer. I'm a gamer, I'm a husband, I'm a dad (and definitely not in that order, yes dear I know!!) , and if there's one thing I don't have too much of it's time. So please Mr Publisher/Developer, don't waste it. I have a long term memory and will remember if you try to feed me crap. Lets take this from a different point of view. Take 10 seconds to go and check your game collection, PC, console, handheld, whatever! OK, you're back? Good. Now, how many of those games have you finished? Far from all of them right? So let me ask you this, would you have preferred having had bought less of them, if the ones you did get were so great you couldn't put down the controller or remove you hand from the k/b? If you had finished all of those. Probably right? I mean, what was so great about that next game that made you put down the one you were playing? At 60 bucks a pop, I'd rather get a gourmet dinner then a buffet. I'd rather savor each digital byte, then to force feed myself tons of polygons and pixels. So please, lets add some variety to the diet here! So quality over quantity , and that means originality over pre-digested oatmeal. To answer that second question, no I'd rather you take your time and aim for something original, tasteful. I'd love to be surprised Mr. Developer, which these days rarely happens. I'm not necessarily asking for a perfect 10, but lets have some diversity. OK, this being Wednesday, we all need a little push to get us through the rest of the week. As such here's something to entertain you for a few minutes. The World War animation film below, was created by Vincent Chai for his final degree project, while studying 3D Animation at the University Of Hertfordshire, UK. from Digital Animation Herts Uni UK on Vimeo. You've got to admit that the guy's got talent. It looks great, the humour is great and the action keeps you on the edge of your seat. Good luck Vincent, wherever you may end-up, I know you'll do great things! They say "Give a man a fish and you feed him for a day. Teach a man to fish and you feed him for life." With the list below I'm trying to achieve the latter for the new players of EVE. Looking back over the last 3 years of existence of this blog (come this November), I've gone through hundreds of posts and located a few good ones that I believe will be helpful to the new capsuleers (and maybe remind the vets passing by). I know they have over the years for me! It's just my way of saying thanks for dropping in and sticking with me for so long! I hope that you'll find the list useful. A lot of the links here are provided in the menu at the top of the page. The list will certainly evolve over time, and grow as I make new discoveries and share them with you. Anyone whose been a regular here at CrazyKinux's Musing will know that it's a passion of mine to take screenshots while playing EVE. Hell, some will even go so far as to call me a screenshot addict! OK, so yes, I do a weekly "EVE Postcard" for a number of weeks now, I've got a few shots of EVE under Trinity I graphic engine (only 1,568), a few more under Trinity II (415 so far), and a dedicated collection on my Flickr account. But can you really blame the man, when New Eden looks so beautiful! This shot was taken in Khanid Region, somewhere near Zirsem. In an effort to share this beauty, EON's Editor, and Grand Poobah, Zapatero himself, is looking for your screenshots for the next issues. If you believe you've got the eye for some great shots, send them over to him. Earlier last week, Malnor invited me as a co-host on his highly successful EVE podcast, Titan Weekly. During the show we covered subjects ranging from a potential CCP endorsed Stock Market, to balancing game play between new and old players, to missions and more. Since it always takes me a while to "get to the point", the show is a bit longer than usual. A lot longer really - 3 times! The blame falls squarely on me. Then again, Malnor kept bringing great questions. It was a lot of fun to discuss all these ideas with Malnor and I hope to get the chance again. And with this episode, Titan Weekly goes mobile! Yessery Bob! Malnor launched mobile.titanweekly.com for those who would rather listen to their podcast on their mobile. Here's the link to the Atmospheric Flight over mountains I was referring to during the podcast. Crazy eh! Can't wait for episode #8. Over at Massively, James Egan has put together a list of all the evil schemes New Eden capsuleers can lure their fellow players to. It's an interesting list, since all these villainous activities are allowed in the game. I don't know of any other MMO out there where you can make a living doing one of these. Most would be considered griefing in other MMOs, but in EVE's sand box approach it's all available to the more sinister capsuler population. I've been running a lot of missions theses days, taking a break from my daily activities of roaming the web and LinkedIn for job opportunities. That, and working on finishing our basement. So I've been looking at a lot of gates these days, and have been remembering how much their looks got improved with Trinity 2. Just take a look at this screenshot of a stargate under Trinity I. Man what a difference! To think we thought those graphics were awesome! We'll probably have to duck tape ourselves to our chairs when EVE goes DX10, or else we'll just fall off. Holy Amarri Empress, it's been a week and I've yet to post anything. What's the problem? Have I lost my EVE Blogging Mojo? Fear not avid readers, CK is well and the Blogging Mojo is strong with this one. But hey, what can I say, life gets in the way sometimes. Since putting together the EVE BLog Pack, I think that there's enough coverage out there for you to have something to chew on when I miss a few days. Here are the news items for the past 7 days, and some extra bits and crumbs. Bonne Apetit! First order of business though, my corp, Phoenix Labs, is looking for some more industrialist with teeth. If you've got what it takes and are willing to chip in all you've got for the better of the corp, we want to here from you. Submit your application on our website before doing so in game. OK, now that that's out of the way, let get on with it! EVE Online Editorial - Babies and Missles - Ten Ton Hammer's Cody “Micajah” Bye on the sweet curves of EVE.... eh, I mean the learning curve of EVE Online. Fumbling for the controls - p@tsh@t's meanderings about his skill training. Interesting read for newbs. Over at Massively, James Egan continues his series on famous EVE capsulers. The last interview is with none other the Jade Constantine. Very well done James, specially in view of the events of the last few weeks. Rock, Paper, Shotgun's Jim Rossignol takes a look at the recent speed nerf in Eve Online And The Big Nerf. EVE Evolved: Is EVE Online going soft? - Nyphur takes a look at the recent changes introduced in the game by the Devs. Trust in EVE - A Thought Experiment - Seems I missed this one, but thanks to J. Egan's Massively article (The high price of trust in EVE), I caught wind of it in time! The article referers to a brilliant piece by Soleramnus over at EVE-Mag. Era of suicide ganking in EVE Online coming to a close - On the Suicide Ganking changes brought by the Devs. EVE Blog Pack Profiles Idea - Of Wilhelm2451's Machiavellic plans! EVE dev blog announces changes to forum posting - A noble attempt by the CCP to reform, no that's refine the EVE Forums. Still smells too much for my taste. The things I would do with a nice big bar of soap. Sometimes Listerine just doesn't cut it! Titan Weekly #6 and Fly Reckless #6 and #7 get released. Good job guy, keeping the EVE podcasting flame burning! The CSM speaks, will CCP Games listen? - Bueller, Bueller? Anyone? Politics in a Vacuum - A great piece on the CSM by Jordan Deam, over at The Escapist. Last but not least, Direct X 9.0c (Aug 08) was just released. For those of you wanting to stay on top of things! Another busy week in New Eden news, as well as down here on Earth. RL has got me really busy with a bunch of little projects and gearing up to an eventual return to work - once I've found something interesting. So even though the list below was partially done a few days ago, I've only had time to post it today. For those tough enough for the political/forum scene, the big news over the week-end and the last few days was the CSM attack on the EVE Forum and a somewhat controversial chat log which Winterblink posted on his blog. For those interested in game development, some news on the business side of things informs us that CCP will be using Hansoft for defect tracking and project management across its studios worldwide. Two new EVE Chronicles get published: Masks of Authority and Her Painted Selves. 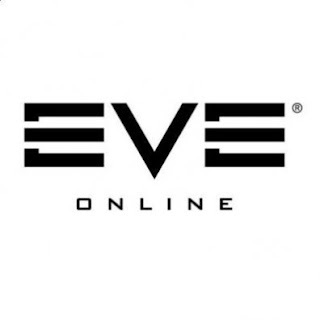 Syncaine posts a third article in his series on his EVE Market experiments. The EVE Week-End Warrior has got something big brewing over on his blog. Keep an eye on it! If you've ever wanted to know what type of EVE player you really are, then head over and take the EVE Personality Test. A bunch of us have taken it and speak our minds on the results. Drugstore Space Cowboy's very well done Character Creation & Guides will soon be added to the Guides section here on CrazyKinux's Musing. Good work mate! Mynxee, EVE Blog Pack member, asks in a recent posts, what the 'appropriate' age for gamers. Head over and partake on the discussion. Don't forget to complete the poll! Still over at Massively, James Egan has an interesting interesting with none other then Verone, CEO of Veto Corp, and arch nemesis of Jade Constantine, CSM Chairman (See the first news item on this list for further explanations). Three new blogs join the EVE Blog Pack - Miners with Fangs, Letrange's EVE Blog and A Misguided Adventurer. Welcome Guys! Episode 15 is here, and was recorded in front of a live audience! In the weekly update, CK has been keeping up his carebear ways. Al has been trying the market out, and Crovan has been swallowed by his new job, but has started reading The Empyrean Age novel. In DON'T PANIC, Al and Crovan discuss their adventures in Faction Warfare complexes. This week's listener feedback section features more mp3s submitted from our viewers, this time it's questions instead of advice. In out of game news, the guys have a spoiler-free drool-fest over The Dark Knight. 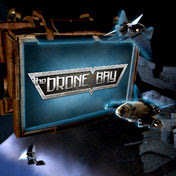 Make sure to check out the in-game channel "The Drone Bay" (no quotes) to talk to other listeners, as well as the hosts! News on the latest show, the plans for the next show, and info on how to listen live is available, there. Well EVE Online must be doing well, because it now has a 5th regular podcast, Fly Reckless. This podcast is another one-man show, this time by Silicon Buddha. He's already got 5 episodes done, with one pre-launch episode (#0). The first few shows were about 30-40 minutes long, though the last episode is over 90 minutes. ... I’m going to be highlighting the fun that is to be had in EVE and spotlighting a little bit of news, a smattering of my opinion, have a few laughs and do a little bit of “seat of the pants” flying (both literally in Eve, and figuratively in doing this podcast). Here is the link to the shows and to the iTunes subscription. You enjoy Eve's economic model and you find that the greatest challenge of the game lies in mastering the market. System security status is a matter of profit/no profit for you, and you always factor in the possibility/probability of PvP in your estimates. To you, Eve isn't a PvP or a PvE game. It's a simulation of capitalizm in its purest form, and a place where the savvy wins the day. Take The EvE Personality Test today! With Wilhelm and Godlesswanderer taking the EVE Personality Test I just couldn't resist. Similar to Ombeve's experience, my result doesn't match my play style - maybe more what I aspire to be than what I'm currently doing. In reality, I think that I'm much more of PvE player similar to Wilhelm. Simply looking at my skills distribution and you'll know what I mean. Maybe there's a lesson to be taken here. Maybe my true path in EVE is the Industrialist (with teeth nevertheless!). I mean I've always wanted to work the trade routes a bit more and explore that side of EVE. Come to think of it my last few completed skills we're all Trade-related. I'll have to give it some thoughts.